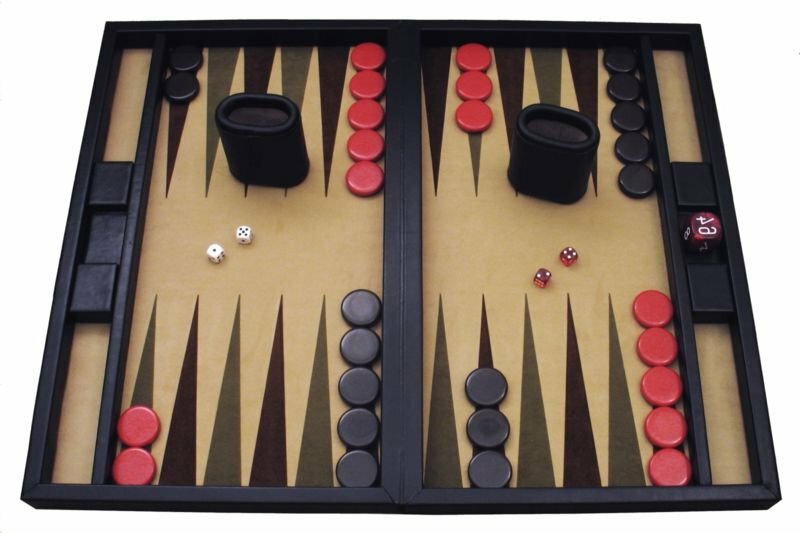 J programs are presented as analytical tools for expert backgammon . Part 1 here develops a program to compute the number of rolls expected to bear off all pieces in a player’s inner board (with no contact). The inner board is represented as a list of six integers. For example, 0 0 0 2 3 4 represents 0 pieces on the 1, 2, and 3 points, 2 on the 4-point, 3 on the 5, and 4 on the 6. So, it takes about two and a half rolls to bear off these pieces on the 4, 5, and 6 points. Beware: Since multiple recursion is extremely inefficient here, input boards with more than a few pieces will be impractically time-consuming. Accordingly, Rolls should be re-defined to look up expected values from a database produced by the script in the Appendix below. Thanks to the Vector reviewer for testing these programs and for helpful suggestions. Special thanks to friend and colleague UMass Computer Science Professor Paul Utgoff for years of enjoyment and sparkling discussions of backgammon and programming. Script bgn.ijs re-defines program N to compute expected number of rolls efficiently using ncodes and ns .